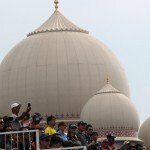 Formula E makes its return to Malaysia this weekend, however not all teams will be on the track this Saturday. As previously mentioned on e-racing.net, fan-favourites Trulli will unfortunately not be racing as they failed scrutineering ahead of tomorrow’s Putrajaya ePrix. Group One is looking strong. Although none of these men made it on the podium in Putrajaya last year, they have shown us great potential from the season-opener in China last month. Obviously Heidfeld took that third position in Beijing and in fact you, the e-racing.net fans, voted Heidfeld your driver of the race last time out – an accolade that Nick responded to on Twitter, however he wanted to know when he’d be receiving a trophy for his achievement! As Heidfeld has shown the Mahindra has the pace this season, his talented team mate Senna should also be able to prove his skills and abilities around the track, although he is currently looking the weakest in this Group it has to be said. Nicolas Prost of Renault e.dams also has to demonstrate that he can follow through a pole position into a win. Unfortunately for the Frenchman his pole position last year, topping the timesheets by +0.231s over the second place Servia, was taken from him due to a penalty for causing a crash with Heidfeld the race before in China. This pole Prost had earned was in fact handed to the Spanish driver Oriol Servia of Dragon Racing. Despite this penalty, Prost still managed to bring his Renault home in fourth place. Can he secure pole again this weekend and convert it into a win? Frijns is the only man in his group not to have raced here in Putrajaya with the FIA Formula E Championship. His other three drivers in the group raced here last year and had fairly good success, two of the three finishing on the podium. Although Antonio Felix da Costa finished in a respectable eight place here last year, just under 20 seconds off the winning time, it is Di Grassi and Buemi who generate the best chances of a very successful weekend in Malaysia. Although they finished the race in second and third respectively, these two men didn’t start the race as they had probably hoped to do. 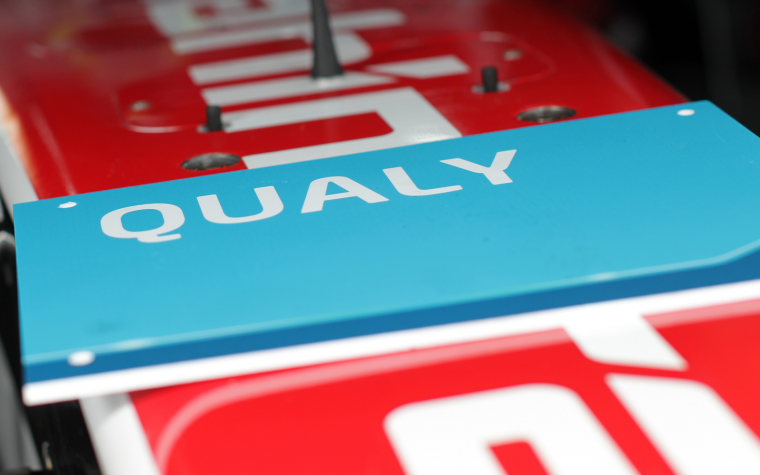 The qualifying results show that Buemi in Car 9 was underweight and therefore has shown no record of setting a time, as well as Di Grassi completing a lap in qualifying but not setting a time. Although Buemi’s underweight car meant his qualifying hopes were dashed, he did show great pace in Practice One finishing the session with the third-fastest time. With better luck this weekend, could these two drivers be battling for that first place finish this weekend? I think so. After the first race in China, Buemi sits at the top of the Championship table with 30 points but Lucas di Grassi is just behind nipping at his heels. Throughout the previous racing weekend in Beijing, the two drivers were constantly switching positions as the fastest in the sessions. As fans welcome the FIA Formula E Championship back to Malaysia, it looks like the fight between Buemi and Di Grassi is going to be electrifying! 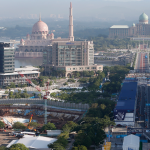 In Group Three we find ourselves a Formula E World Champion and the first and only winner of the Putrajaya ePrix. Sam Bird, the man who won here last year, showed great promise over the entire race weekend back in 2014. He topped the timesheets in Practice One, secured a dominant second place position in qualifying after Prost’s demotion of 10 places from pole, and ended the weekend becoming the second winner of an FIA Formula E ePrix. Sam is also a popular choice with the Fanboost concept, however as it stands Heidfeld, Piquet and Vergne are looking to be the favourites to claim their ‘extra boost’ during tomorrow’s race. Although Sam Bird showed great dominance last year in Malaysia, his start to the 2015/16 season hasn’t gone so well. The car hasn’t looked as strong and it appeared to be struggling in China. Despite this group being crammed with fan-favourites, I don’t think that this group will produce the pole sitter, nor the race winner but I am more than willing to be proved wrong. Similar to the previous group’s analysis, I don’t think that this group of drivers is particularly stand-out. Their cars are not evidentially the rulers of the pack, Abt’s Abt Schaeffler looking the most promising car from this pack, and even then it’s his team mate Lucas Di Grassi who is demonstrating it so well. Turvey managed to secure Fanboost in Beijing and with Simona being the only woman driver in the sport at this time, she too has the high possibility of winning the credit of Fanboost. Overall, another weaker group ahead of the ePrix tomorrow. Obviously using some of last year’s data, in addition to the success seen by teams and drivers in Beijing last month, I cannot give a definite report into who will win tomorrow or end up on the podium. The overtaking has been described by drivers as “difficult”, as well as the varied weather conditions and the challenges the humidity, leading to diverse accounts of how this weekend’s racing might conclude.